Olivia Munn Is Doing a Rom-Com and a Thriller Because She Is Every WomanIt’s all in herrrrr. And Now, Every Jordan Peele Project Currently in DevelopmentIt’s not all scary stuff. Where You Can Watch This Year’s Golden Globe NomineesNot every film is confined to the theater. France Offers Higher Subsidies for Movies That Hire More WomenAnd yes, there is a male executive who thinks it’s unnecessary. How did you guess? Christopher Nolan Is Taking a Stand Against How His Movies Look on Your TVYou may never how good Dunkirk actually was. Ben Schwartz Will Be the Voice of Sonic the HedgehogWe had no idea he was so fast. The Oscars Are Changing Because You Aren’t WatchingABC walked the Academy through the numbers and they were … not good. Zazie Beetz Might Join Joaquin Phoenix in JokerAnd we’re already so worried about her character’s fate. Kate Winslet, Diane Keaton, and Mia Wasikowska Team Up to Break Your HeartApparently they don’t think we’ve had enough. Jim Broadbent, Judi Dench to Star in Film Co-written by Eddie IzzardThis wildly uplifting cast will star in a thriller about school girls loyal to Hitler. A Quiet Place Writers to Adapt Stephen King’s The Boogeyman Into a FilmIt’s a great time to be a Stephen King fan and a bad time to be a person who plans to sleep again. Kobe Bryant’s Film Academy Invite Is CanceledFor now, he’ll just have to settle for being an Olympic medal and Oscar winner. Director of New Billy Zane Film Reveals He Is Blind A Week Before PremiereAdam Morse kept his vision impairment a secret even from the film’s investors. James Carville/Mary Matalin Film in Works from Gyllenhaal and SarsgaardThe famed political couple might get the Hollywood treatment. MoviePass Users Shouldn’t Plan On Repeat Viewings of Infinity WarOr any other movie, for that matter. Eddie Redmayne Spoke at Stephen Hawking’s Star-Studded FuneralSeveral stars paid tribute to the late cosmologist. John Mulaney and Nick Kroll Name Names in Independent Spirit Awards MonologueNick Kroll shares a disgusting (alleged) story about Brett Ratner and six doughnuts. HTGAWM Actress Karla Souza Says She Was Raped by a Director Early in Her CareerSouza said she was assaulted while filming on location in Mexico. Jon Hamm Has a Lot of Questions in the Beirut TrailerRosamund Pike co-stars in the upcoming thriller, written by Bourne screenwriter Tony Gilroy. Eve’s Bayou Remains a Beautiful Portrait of Black Identity 20 Years LaterRevisiting the film’s legacy on its 20th anniversary. 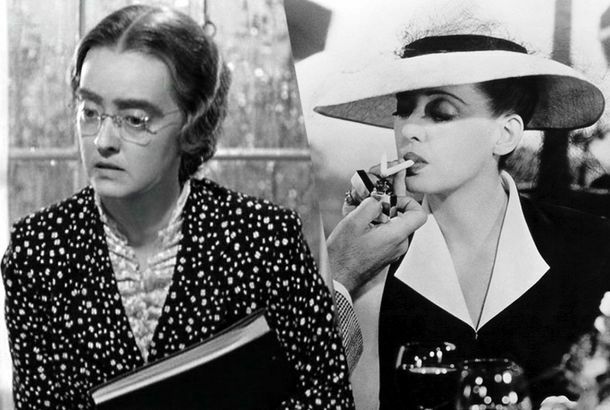 Now, Voyager Is One of the Most Poignant Depictions of Mental Illness EverAn appreciation of the film on its 75th anniversary. The Weinstein Company Is in Total MeltdownThe board of the company is reportedly looking to sell — or completely shut down the studio. Your Very British Streaming Guide to Elizabethan Period DramasFrom the silliness of Blackadder to the seriousness of Elizabeth I. How The Beguiled Subtly Tackles Race Even When You Don’t See ItAnd why auteur theory has limited conversations about the film. What the Debate Around Black American and British Actors Gets WrongIf black American stories are seen as vital, why aren’t black American actors viewed as their ideal storytellers? WATCH: We Ranked Steven Spielberg’s Top 10 FilmsThere isn’t a genre he can’t do. Andy Serkis on the Biggest Challenge of Motion-Capture ActingHis answer may surprise you. YouTube Stars Take on Two Truths and a LieHow did this keep coming back to quizzes about losing their virginity? Dirty 30 Cast on Writing Accurate Female RolesThe YouTube stars told us about their relatable characters in the new film Dirty 30. This Designer Creates Mesmerizing Art Films This is what happens when you mix ink, oil, soap, and a little bit of glitter. The Who Not Happy About Quadrophenia SequelIt really is free frustration in their minds and their toes. This Hand-painted Movie About Vincent Van Gogh Brings His Paintings to LifeIt’s pretty incredible to watch. Star Wars: Force Awakens Makes AFI Top 10 ListJust in time. Watch: In Praise of the ‘Magic Hour’ in CinemaFrom Django Unchained and Apocalypse Now to Her and Lawrence of Arabia. Federal Gov’t Investigates Hollywood Gender BiasThe Equal Employment Opportunity Commission is investigating discrimination against women directors. What Hollywood Gets Right (and So Wrong) About Staten IslandThe ferry runs all night, Carrie Bradshaw. It’s Time to Rethink How We Talk About SharknadoYes, really. John Waters Made a Pink Flamingos for KidsIt’s called Kiddie Flamingos, and it’s censored, G-rated obscenity. In an All-Digital Future, It’s the New Movies That Will Be in TroubleWhen it comes to preserving movies, the digital revolution may turn out to be a catastrophe. American Film Institute’s Best Films of the Year Goes to 11The Institute honored Selma, Into the Woods, and Boyhood, among others. Werner Herzog Thinks All His Films Could Have the Same Title’Gazing Into the Abyss’ is pretty catchy.